At Shook Ideas, we are passionate about building ideas into well-designed products that solve problems and inspire people. Our services include CAD design, 3D printing, prototyping, manufacturing, tooling/fixture design, technical writing, product listing photography, branding, packaging and much more. Inquire today to set up an appointment and discuss your project goals. Our goal at Shook Ideas is to add quality and speed to the product development process wherever your business is having pain. Whether that is in initial product development or just one tricky part that needs a smarter solution, we add value in the leanest, most cost-effective ways possible. Your product development journey starts by charting your course. Have you sat down to plan for your own project's success? What are the important tasks, team members, and milestones needed to execute your product release? If you haven't put much thought into it, start here. 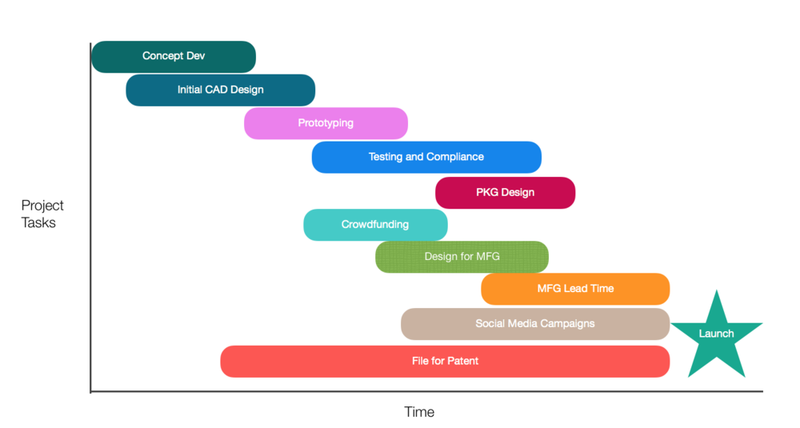 Our focused approach combines a mix of Fortune 500 experience with start-up mentality to deliver results for your prototyping, product development, or specialty one-off project needs.